There are a bunch of great co-op games on PS4, many of which can be enjoyed locally with some pals. Here are some of the best local co-op PS4 games of all time that you and your friends will be able to bust out and play. The games included within the Jackbox Party Pack collections tend to be competitive games, but not Bomb Corp. 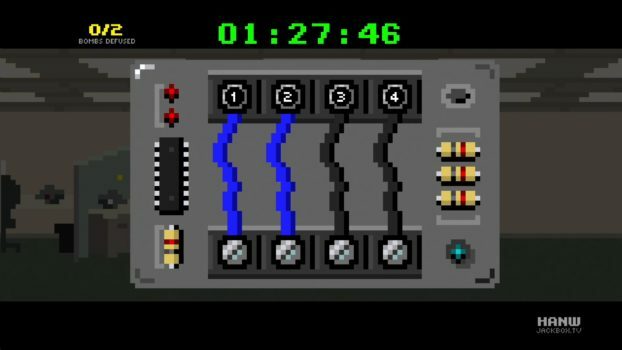 In this game, each player is sent an instruction to their phone, and it is the team’s job to work out which wires to cut on the bomb based off of all the different instructions. The utmost concentration and communication skills are required for this game. All of the modern Traveller’s Tales-developed Lego games feature two-player drop-in/drop-out co-op, and they’re all just as fun as each other. Every Lego game plays similarly, where you and a buddy make it through a number of levels, smashing bad guys, and solving puzzles. 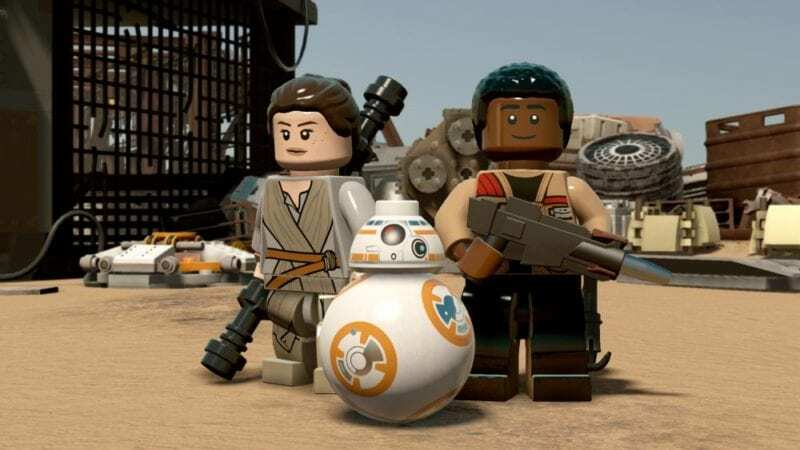 Whether you’re a Marvel fan, Harry Potter Fan, Star Wars fan, or many other franchises, the Lego games have you covered. Resident Evil 5 was the first Resi game to feature co-op. You and a friend control either Chris or Sheva, and it’s your job to fight your way through hordes of zombies and some grotesque bosses in this all-action Resident Evil. Lara Croft and the Temple of Osiris brings the usual Tomb Raider gameplay of puzzles and action into a different kind of space: a top-down isometric co-op game. But it doesn’t lose any of the aspects that make the Tomb Raider games great. You just have to rely on a friend to also be fairly puzzle-savvy in order to make your way through this one. Until Dawn didn’t have a co-op mode, but the branching paths storytelling led many people to play the game with others. So, in Hidden Agenda, Supermassive Games incorporated the PlayLink feature which lets multiple players control the outcomes of the characters using their phones. Perfect for parties. If trying not to starve alone wasn’t enough, you can now try not to starve with a friend! Don’t Starve Together is a co-op experience that sees you scrounging for materials and supplies so that you, well, don’t starve. Here’s an extremely unique co-op experience. Only one player controls the game, while it is your friend’s job to navigate through a set of instructions to decipher exactly what the player has to do to the bomb in order to make sure that nobody explodes. If you’ve got a PlayStation VR, the second player can use the TV screen for instructions, rather than printing the whole manual out. While not known for its co-op, a second player can actually grab a PS4 controller and control one of the game’s options. Co-op allows for a little bit more precision, but at the cost of one of Isaac’s lives, so that second player better make it worth it. 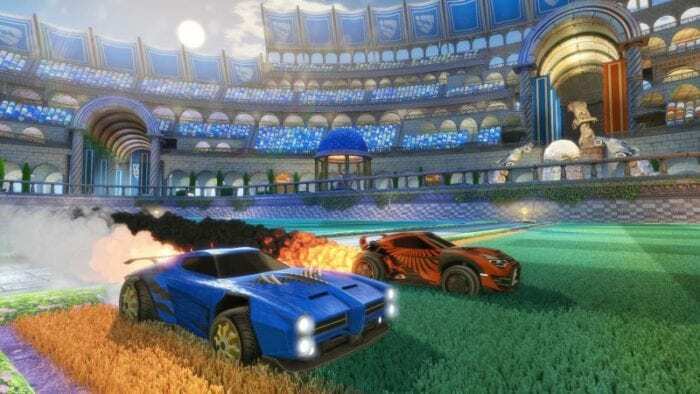 Rocket League offers a split-screen mode on the PS4 so that it can be wholly enjoyed by up to four players on a single TV. This also means that you can team up with your buddies for co-op. Rocket League supports up to 4v4, so you and your pals can stomp the A.I. together. Diablo III was brought to the PS4 in 2014, and what a treat it was, as four player local co-op Diablo feels right at home on the PS4. Invite some friends round, tell them to bring their controllers, and then jump into Diablo III where you can complete quests, crawl through some dungeons, and collect that sweet, sweet loot. A wonderful little indie co-op game. It’s a 2D shoot ’em up game where rather than controlling different ships, you’re all in the same ship. You have to run between different parts of the ship, such as the turrets, engine, and shield. Absolutely among the best local co-op PS4 games. Your objective in Spelunky is to dive deep underground, avoid traps, kill enemies, and gather as much treasure as you can. The randomly-generated levels can be a bit intimidating, especially for newcomers, so why not bring a friend along with the game’s local co-op? This PS4 launch title is still one of the best co-op games that you can get on PS4. 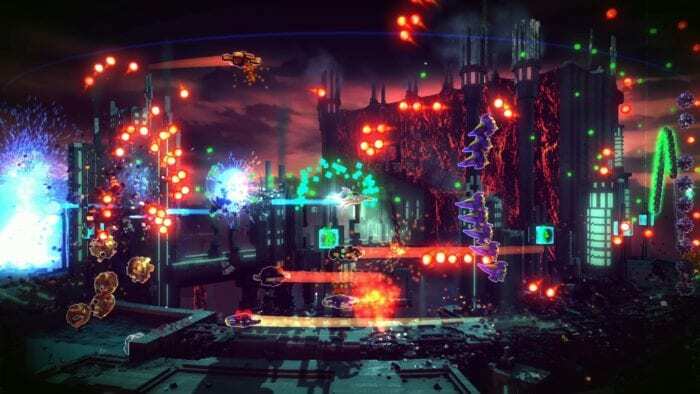 If you take the classic arcade game Defender and turn it into a gorgeous 2.5D game, then you get Resogun. Work your way through hordes of aliens and save the last humans in this great co-op shoot ’em up. The latest and greatest co-op experience. A Way Out can only be played in multiplayer, and the best way to do that is through the local co-op mode on PS4. You play as Leo and Vincent as they try to bust out of prison, and continue life on the outside as fugitives. FIFA 18 can be enjoyed in many different ways with its abundance of modes, both offline and online. This of course includes the series staple local co-op options. Connect up to four PS4 controllers, and you can have your friends join your team to take it in turns controlling different players. LittleBigPlanet has always been a great co-op series, and LittleBigPlanet 3 is no exception. What’s cool about this game’s co-op in particular is the different characters that you can each play as: Sackboy, Oddsock, Swoop, and Toggle. After a short hiatus, the Rock Band series made its way to PS4 with Rock Band 4. It brings back the same tried-and-true gameplay from the previous entries, requiring the use of the guitar, drums, and microphone peripherals. Rocking out in your living room with some chums is just as fun as its always been. Guacamelee! is a 2D sidescrolling platformer with a heavy focus on exploration and collecting upgrades – a Metroidvania, if you will. There aren’t many co-op Metroidvania’s available, and Guacamelee! is a great one. Although we haven’t seen a brand new main series Borderlands game on PS4, we did get ports of Borderlands 2 and The Pre-Sequel as part of The Handsome Collection. These are still some of the best co-op first-person shooters around with their lengthy campaigns and ample opportunity for treasure hunting. Rayman Legends is an exceptional 2D platformer when played in single-player, but it is even better in co-op with up to four players. Running through these expertly crafted levels with buttery smooth controls alongside some friends is too much fun. Call of Duty co-op is usually associated with the Zombies mode, and that’s present Black Ops III, and just as good as ever. However, what makes Black Ops III the definitive Call of Duty game for co-op is its inclusion of a co-op campaign, that can be fully enjoyed in local split-screen. Co-op is the name of the game. 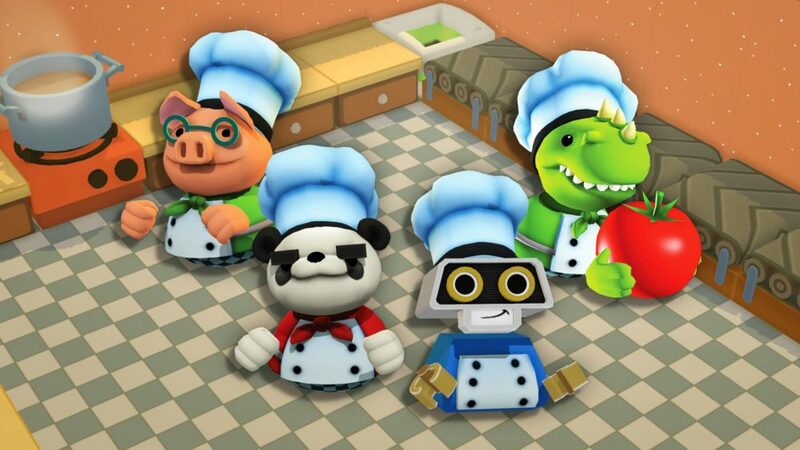 In Overcooked, you have to be communicating with your friends in order to achieve a high score. You only have a short window in which to get the meals done correctly, so if you want to keep your friends, you have to be on the ball. If you wanted a Souls-esque game with 2D hand drawn visuals, then look no further than Salt and Sanctuary. This game’s multiplayer can only be played locally, so you’ll have to convince an IRL friend to suffer through this game’s intense difficulty with you. Never Alone is an atmospheric puzzle platformer in which you play as the girl Nunu and her Arctic fox. It doesn’t feature as much action as many of the other games on this list. Pick up this one if you’re in the mood for a quieter co-op game. Battleborn’s main focus was its competitive online multiplayer, but it also features a decently fun campaign that can be played through in split-screen co-op. Its a hero shooter that plays similarly to Overwatch, so if you’re looking for an Overwatch type game with a story mode, then check out Battleborn. The games included within the Jackbox Party Pack collections tend to be competitive games, but not Bomb Corp. In this game, each player is sent an instruction to their phone, and it is the team's job to work out which wires to cut on the bomb based off of all the different instructions. The utmost concentration and communication skills are required for this game.